Bullet Journaling with less setup time! A common complaint among bullet journalers is the time it takes to set up your bullet journal before it’s even ready to use. 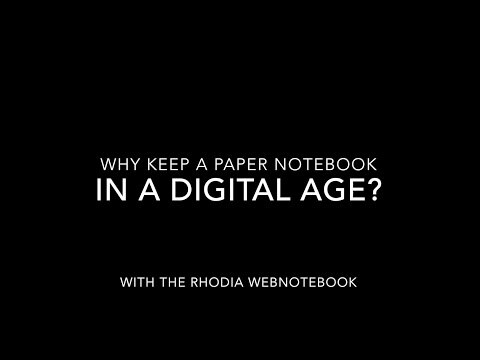 The Rhodia Goalbook solves these issues! It is A5 size and has several features that have been lacking in bullet journaling notebooks so far, specifically in regard to future planning. Also notably: The ivory paper is 90 gsm and is fountain pen friendly! The main problem with bullet journaling is the forward planning aspect. It’s hard to use an undated notebook for future planning. But some people find using a dated planner as a bullet journal to be too restrictive. This notebook solves all that with some clever features. The first is an undated year overview with six months per two-page spread, with a line for every day of the year. Because it’s not assigned to any specific year, you can start this any time. This is a great place to write future events that happen on a specific day like appointments, deadlines, holidays, travel, etc. This gives you an overview of the details of your entire year. There are also Future Log pages with six months per two-page spread with open space for each month. This is a great place to write monthly goals, and/ or tasks and reminders that aren’t day specific. Then there are 224 numbered dot grid pages, and two ribbon placemarkers. The book stays open flat easily. The paper is acid free and works great with a variety of inks. There is an accordion pocket inside the back cover. And there is an elastic closure. The soft covers come in 16 colors: Silver, Black, Chocolate, Taupe, Beige, Anise green, Turquoise, Sapphire, Iris, Purple, Lilac, Raspberry, Poppy, Tangerine, Orange, Yellow. The Rhodia Goalbook is currently available in the USA, UK and Europe. For a list of places where you can buy the Rhodia Goalbook in the USA click here. For more information about the Rhodia Goalbook click here! Hi Johan, thank you for your suggestion! I will pass it on to the development team. We love hearing what customers want, and always strive to provide products that are useful and pleasant to use. Are you planning to release the Rhodia Goalbook with hard cover? If so it would be perfect for me.